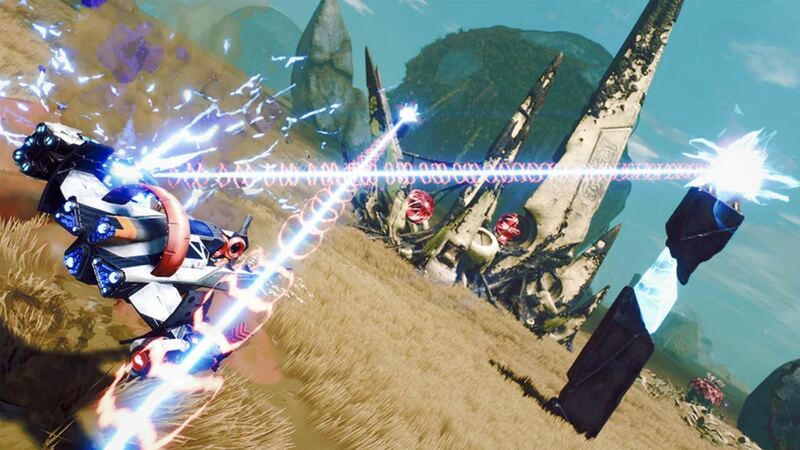 Ubisoft has released a new software update for Starlink: Battle for Atlas that has introduced new content and fan-requested features to the action-adventure game. This had added new enemy units, the chance to take down outlaw fortifications for loot and experience, and a Photo Mode that lets you capture your favourite moments on your journey across the Atlas star system. A new enemy unit has arrived. These Sentinels summon Gravity Orbs, which will absorb all of your shots. In order to destroy the Sentinels, you must break these Gravity Orbs by using the pluck ability. Only then will you be able to damage the Sentinel. The Imp Hives have evolved. They have learned how to summon Obelisks to help protect their homes. When attacked, the Obelisk will shoot lasers at you until its core is plucked and disabled. Remain vigilant pilot! These flora closely resemble tumbleweeds you find on Earth. The biggest difference is that these Snowcatches & Prickle Burrs will attach to your ship and slow you down. You can destroy these annoyances by shooting them or you can pluck and throw them at other units to slow them down. Be careful around these slow-moving creatures. They will follow you if you attack them and they grow larger if you try to destroy them! The bigger they get the more damage they will do. The best way to get rid of these is to get them to touch something that is not you. If you have good positioning, try to train them into an enemy. The Ashworms and Sandworms are the definition of predator. If either one of these creatures see you, they will follow you until you’re able to escape. If you are talented enough, you can pluck a scale off the worm. Levi says that when the Sandworms are angry that they are fun to latch onto and charge into battle with. We don’t recommend you do this. Expedition Outposts are willing to trade the scales you receive for mods. While we were focusing on the Forgotten Legion, it seems some Outlaws have been able to fortify themselves on the planets. They have taken over downed ships and started to protect them with both Scrapper and Ravager turrets. The turrets are equipped with defenses that you need to disable before they become vulnerable. Time your Active Shield ability just right to reflect the turret’s projectile back at its defenses. In less dangerous news, the Expedition report details a new, more mythical creature. The Spirit of Electrum. These creatures drop electrum upon taking damage and if you’re able to deal enough damage, it will disintegrate into Nova. Seems worth the chase. When you are traveling in-between planets, lookout for a new rare asteroid. If you see one, destroy it quickly as shooting them will bring you a lot of electrum. We are also excited to share that all pilots will have access to a photo mode! We have seen that many of you have met the new species in Atlas and that you have stumbled upon even more amazing moments. Now you will be able to capture those moments to your heart’s content! The photo editor has a suit of options to help you create your perfect moment. You can modify an images depth of field, focus distance, exposure, and saturation just to name a few. There are even some surprise vignettes to add some extra flair to your pictures (make sure you check them all out for a few surprises).